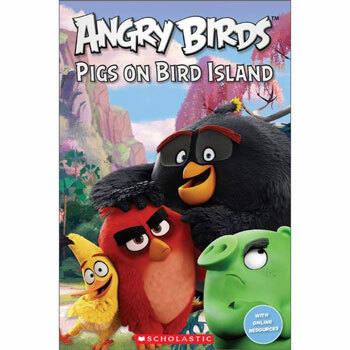 Angry Birds: Pigs on Bird Island is a level 1 (Early Beginner) title from Scholastic’s Popcorn ELT Readers. This series of low-level, graded readers features titles based on popular films, TV series, and classic children’s literature. Aimed at pupils in the early stages of learning English as an Additional language, Popcorn ELT Readers are available at three levels: Early Beginner (Level 1), Mid Beginner (Level 2) and High Beginner (Level 3). This title is available with our without audio CD.